Wikipedia about the Age of Aquarius which is a central concept in the New Age. The term comes from astrology and zodiac which denotes where the equinox vernal equinox occurs in. changer asterisk with 2100 year intervals. Since ancient times the earth has been in Pisces, and this will continue for a few hundred years before the sun comes in Aquarius. Multiple year been set by various astronomers to date changed: 2150, 2654 or 234 Others believe that the shift has already taken place and attached it to the events in history, in 1433 or 1844. Some astrologers believe that the transition from one astrological age to another will cause paradigm shifts in religion and science. Within the New Age and popular culture, it is a common belief that the Aquarian age will lead to a comprehensive new spirituality, where one seeks inward, and act just by intuition, rather than by external rules. The term is also known from the movie / musical Hair (1967). Shared trait with the charismatic movement is striking when both graduate with a new age for the Charismatics see it as a Christian revival. It is difficult to explain the difference between what is what then so my today overlap and even within its seductive such directions as the charismatic movement is, there's apparently a lot of good! The so-called revival that will always come but never come pinsekarismatikernerne is that they are not living a true holy and consecrated life in accordance with God's word and God's will! There of course is that God uses tools, but here is a man who does not put Christ and His accomplished work at Calvary and what God's word says in center. But himself and herself and adventures and experiences again and again again! This is old news, the Charismatics, yet it must be cautioned again and again welcomed as this occult and seductive spiritual direction as a branch of the New Age is spreading more and more about themselves. Adoration of the Holy Spirit leads into the occult, which Honningdal is a promoter for, I warn against it in the strongest. So-called worship of the Holy Spirit is to promote New Age and Satan, the driver and err! The Norse pagan beliefs was a typical Indo-European polytheistic religion where the gods had power and knowledge, but was not omnipotent and omniscient. The gods lived much like humans themselves did, they fought, loved, was tricked and sought wisdom. Odin, who along with his brothers Ve and Will, created the world and the first humans, are often emphasized as the most important Norse god. There were other gods Idunn and Balder, but Norse myths and traditions name suggests Tor and siblings Frey and Freya were more important for most people. Odin seems to have been an occult god of war, Tor one elements, and Frey and Freya were fruktbarhetsguddommer that were grown for good harvest. It seems that the pagan beliefs were marked by rituals, both mundane as sacrifices (soaking). (End of quote). Jude 8 Yet these people do the same. Powered by her visions staining his body they despise the authority over them, and mocks englemakter. God has shown me said known now deceased False Prophets and got himself and others to do all that God's word warns against. Visions and revelations are God-given thing, but to follow it blindly is a delusion. When a trust blindly revelation of knowledge, but not checking it up to God's word is really Spiritism. Anyone who strays from God's word in the life and teachings will sooner or later be judged. God keeps an account of all. It had been impossible to warn either deliberately will. 9 Over the angel Michael did not dare to defy the devil when he was in battle with him about the dead body of Moses, he sentenced him just saying, "The Lord rebuke you!" There is hierarchy in both the natural and spiritual world. Satan had once been light angel standing over Michael or his line. But later the light angel and became Satan. Michael was not his mandate but said; "May the Lord rebuke you!" Ultimately, it is the Lord who will either reward or punish each one. 10 These, however blaspheme that they know and what they comprehend their senses, like animals without reason, they serve only to destroy them. A very well known preacher said that he treated the Holy Ghost as a dog (BennyHinn). They do not know what they're doing. If we go into the spiritual realm so know it, it must be the Lord's premises are not our own. It's bad with homosexuality with it being 10 times worse when the people want God recognition for his sin! So it is with remarriage and other sins. The worst place one can set up a re-married person is on a soapbox! It is an abomination in God's eyes, but he put himself on the last bench makes it not so strict about God never accept sin. 11 Woe unto them! They have turned into the way of Cain, they have thrown themselves into the same error of Balaam, who was out for personal gain, and they have rebelled like Korah and perished. Here it is warned not to go against the Lord's messenger, and much less oppose them and add them to hatred. 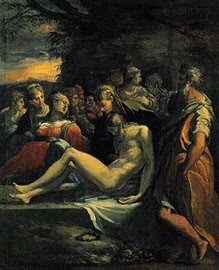 Cain hated Abel when his sacrifice was appreciated by God but not his. Balaam was a Gentile as God's Spirit worked through but it was when he went against the Lord for any money judgment that came upon him. Korah went against Moses and his court. Moses was a trusted man of God and to oppose him was to oppose the Lord himself. 12 They are shame stains by love meals with you, where they participate without fear. They are shepherds who only provide for themselves, clouds that drives the wind without giving rain. They are trees without fruit in autumn, twice dead, yes, torn up by the roots. One of the most difficult things one can do is to make mistakes with the sacrament. Whether to take lightly. The day you take the sacrament there must never be any grievous sin in your life, then it is infinitely better to let the weather. Or so one must not ascribe sacrament unbiblical meaning by saying that there is salvation in it, or that this is literally the blood and body. It is a memory and test meal. There are many who believe they are supporting the cause of God and God's church but then keeps a life of false prophets. This Lord will one day that you will be accountable for. In reality, many spiritually dead if they can quote a Bible verse and sit in their own studio to chant his own message, which is equally captivating Bible true message. Twice dead when all hope is gone and only the verdict and death awaits. 13 They are waves on the choppy sea, foaming up their own wantonness, stray stars, the eternal darkness waiting. The judgment of these people had not been so disastrous had collected himself and not God blended into a false way of life. Strangest I see are people who curse a God they say does not exist. They make it worse by mixing him in his life. God requires full respect and recognition of everything he stands for, or you need to let the weather have anything to do with him. James 4 5 Or do you think it's empty words when the Scripture says: With the zeal of God makes demands on the spirit he has made to dwell in us? 6a But grace he gives is greater. Matt. 7. 15 "Beware of false prophets. They come to you in sheep's clothing, but inwardly they are like ferocious wolves. 16 Ye shall know them by their fruits. For some pick grapes from a bramble bush or figs from thistles? 17 To a good tree bringeth forth good fruit; to carry a bad tree bad fruit. 18 For a good tree bringeth forth good fruit and a bad tree bears bad fruit. 19 And every tree that does not bear good fruit, shall be cut down and thrown into the fire. 20 Therefore shall ye know them fruits. " 21 "Not everyone who says 'Lord, Lord' shall enter the kingdom of heaven, but they that makes my heavenly Father. 22 Many will say to me on that day, 'Lord, Lord, have we not prophesied in your name, and we have not run out demons in Your name, and done many powerful works? ' 23 And then I will declare to them, 'You have never known me. 24 "Therefore everyone who hears these words, and doeth them, compared a wise man who built his house on a rock. 25 The rain came, the flood and the winds blew and beat, but it did not fall, for it was built on a rock. 26 But anyone who hears these words and doeth them not, is like with a foolish man who builds his house on sand. 27 The rain came, the flood and the winds blew and beat against the house of the fallen together - and the fall was heavy. " This is very important to understand, there are of course good things within its all spiritual direction, even the PinseKaresmatiske movement. But what example. 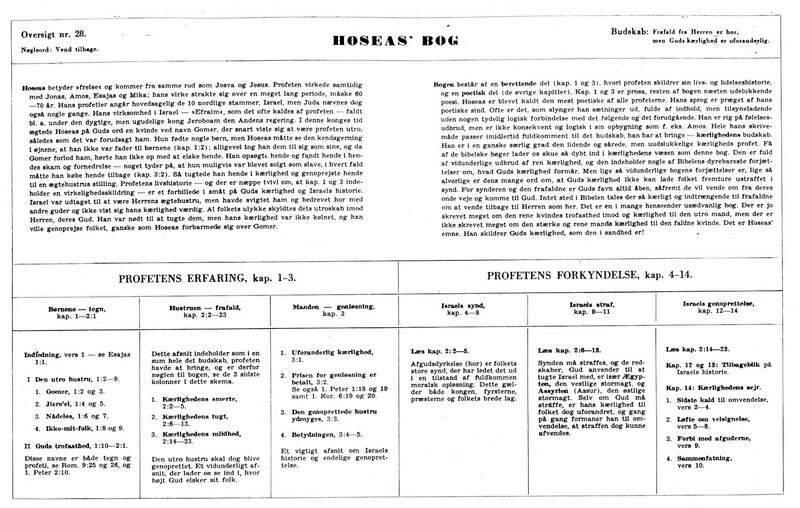 January Honningdal as the forger and the charlatan have is with the long hair (the man should have short hair it says in scripture). Takes up so much wonder with so-called Christian songs where one puts himself in the center and so-called worship of the Holy Spirit, I would warn against the strongest. Final Comment: Honningdal say about worship: There are songs back to the Holy Ghost. " To put it this way, I have written an article that the worship of the Holy Spirit leads into the occult, including at least what Honningdal stands for. I have laid out the related links for this article, we recommend you to read the dear friend so you do not get swept up in the undertow as this is, a demonic delusion and undertow! I know I may seem harsh and judgmental, but this is written with love. For the church of God will not be even more astray. For, if possible, to have woken up some of this is a strong delusion. You think than a help to worship and sing to the true God, but it is Satan one sings and basically also make contact with. Would strongly urge you never sing songs or counterfeit Honningdal songs that lead you away from Christ, not to him! This is not truly Christian songs, but songs that lead you away and from Christ. January Honningdal and very much within its current PinseKaresmatiske Christianity is a branch of the New Age, I place them? The part of the PinseKaresmatiske branching as Dr. C. Peter Wagner calls for: "New Apostolic Reformation." It is demonic and controlled by Satan than anyone I know within its branch of Christianity, worse than those that accept homosexuals within its state church. Or Mormons or Adventists, or whatever it may be. It started basically with Aril Edvardsen here in Norway, and will end up with the worship of the Antichrist and the False Prophet! 2 Thess. 2. 9 And his coming is after the working of Satan with all power and lying signs and wonders, 10 and with all unrighteousness seduction to them that perish because they received not the love of the truth, that they might be saved. 11 And therefore God shall send them strong delusion, that they should believe the lie, 12 That they all might be damned who believed not the truth, but had pleasure in unrighteousness. Nr. 442: My clear advice to the Christians in Norway: Never permitted remarriage within its ranks of the faithful, it is impossible to judge or judge who is "guilty" or "innocent"! My clear advice to the Christians in Norway: Never permitted remarriage within its ranks of the faithful, it is impossible to judge or judge who is "guilty" or "innocent"! File 1:9 So I ask dog either, for love's sake. Such as I am, the old Paul, but now also prisoner of Christ Jesus. Paul used the term the old Paul, there is something about a life lived that speaks for itself! One thing's theology, we must have. But what we are going through and experiencing. My experience is the following: Either one may allow remarriage, and then finds all the "loopholes" in order to find a new partner. Or, execution than not remarriage. In reality, there is no golden mean here! Time after time, I have come up in situations where both have reasons for divorce, and when they believe they are entitled to marry again, it is not! In reality, one must choose between two things, either accept remarriage or view remarriage as adultery. What does the scripture? The more I look at this, I find less and less basis for remarriage for faithful Christians after a breakup. It is essentially fornication, either to remarry as believers if the first spouse is still living. Or to engage with and marry someone who has been married before as believers. What about those who have been married before they were saved? My clear understanding from what I've been through the good person that has any relationship before breaking than being saved are less qualified and suitable to be preach and teach to others when an automatic drag the attitudes with them into the new life. I also learned that there are those who have children before they were saved also drag the attitude with them into the new life also as preachers. A preacher and one who teaches others must be "clean". Where children, divorce and everything else makes less than suitable and able to teach others. Divorce and remarriage is far more extensive than the one it very often thinks and thinks. It covers all areas of our lives! Therefore remarriage to adultery teaches writing. Let's take a collection of passages from the New Testament to support this. That it is impossible to allow remarriage among believers for whatever reason then it basically impossible to know if there is someone who is called innocent or guilty. Why is my clear view that every church, movement, religion and above all, the individual that there are only two choices when it comes to practical life. It is: Never permitted remarriage within its ranks the believers, it is impossible to judge or judge who is "guilty" or "innocent"! It teaches that the Lord Jesus Christ that there is also adultery to marry a divorcee. Rom. 7. 2 The married woman is bound by law to her husband so long as he lives, but if her husband dies, she is released from the law that bound her to the man. 3 Therefore, she is called an adulteress if she, while her husband lives, marries another man: but if her husband dies, she is free from that law, so she is not an adulteress if she marries another man. Here the Apostle Paul teaches it is only death that gets a marriage to permitted remarriage. It teaches the Apostle Paul for two unbelievers after a breakup only two options, everything else is a violation of God's good will. It is either to settle or live single. Efes. 5. 28 Then the men ought to love their wives as their own bodies. He who loves his wife loves himself; 29've no one ever hated his own flesh, but he feeds and cherishes it, as Christ does the church, 30 because we are members of His body. 31 Therefore shall a man leave father and mother and cling to his wife, and they two shall be one flesh. 32 This mystery is great, but I think represent the Christ and the church. Here the apostle Paul teaches that the relationship between man and woman is a model of Christ and the church, therefore, the great resistance against the Christian marriage. Where will I go? That is after I have studied, preached, had counseling, greeted people. Everything that I have read and gone through that only two options here as God's church must decide. It is this: In reality, one must choose between two things, either accept remarriage or view remarriage as adultery! Final Comment: Marriage is God willed, there is a God in my intuition an apostate and stale humanity. What can couples do to guarantee that marriage will keep? The first and most important is to obey God and His Word. This is a principle that should tread into effect even before marriage. God says, "Can two together if they have not decided in advance?" (Amos 3:3). For the born-again believer it means to not start a relationship with a divorced or a Gentile. For what do righteousness and wickedness have in common? Or how can light have in common with darkness? "(2 Corinthians 6:14). Another principle that protects marriage is that man obeys God and love, honor and protect his wife as he would with his own body (Ephesians 5:25-31). The principle is that the wife must obey God and surrender himself to the man, "as to the Lord" (Ephesians 5:22). Marriage between a man and a woman is the image of Christ and the church. Christ gave himself for the church, and He loves, honors and protects the church as His "bride" (Revelation 19:7-9). When God brought Eve to Adam in the first marriage so she created of his "flesh and bones" (1 Exodus 2:21) and they became "one flesh" (Genesis 2:23-24 1). This involves more than just a physical union. It involves meeting each other mentally and soul to live as one. This relationship extends far beyond sensual or emotional tightness of hands and into the realm of spiritual "entity" that can only be achieved by honoring each other as they honor God. The relationship should not focus on "me and mine" but "us and ours". This is the secret to a lasting marriage. Getting a marriage to keep the death is something both need to fight for, and rest in God that he has joined, he will also hold together. Comparing marriage with relationship to God is a good way to go, and this is also helping to honor God. Marriage is God willed, there is a God in my intuition an apostate and stale humanity. Nr. 441: What should a Christian do if your spouse is cheating or fail in other ways? What should a Christian do if your spouse is cheating or fail in other ways? For a Christian married couples have only two options learns font. It is either to conciliate, which I recommend and which is the best way. Or live single. But how to reconcile? Here are two things I would recommend. One is prayer, discussion and guidance in community with others and alone. And forgiveness from both parties if only one has been unfaithful. Forgiveness is the key element for restoration. 1) Prayer, conversation and guidance with others and alone. This is advice number one from me and God. The most neglected chat forums in both secular and Christian context, those with marital problems. There are also children, grandchildren and a whole family in the picture. There is nothing that is more important and more significant than that spouses remain married for life. This is the most viable way for everyone involved. We can not deny the fact that in some critical situations in life need than a third party. So my number one request, seek help. But you are encouraged to either stand and find a new partner, then you must rid yourself of the "help". Have unfortunately heard more than once that the believer receives the advice to divorce and find a new partner, this is Satan disguised as an angel of light. 2) Forgiveness is the key element for restoration. After a break, they need restoration, here is forgiveness crucial in the restoration. Jesus spoke to forgive seventy times seven. Matt. 18. 21 Then Peter came to him and said, Lord! how often shall my brother sin against me and I forgive him? as much as seven times? 22 Jesus said to him, I tell you, not seven times, but seventy times seven. Is your spouse cheating or otherwise it will break up the scripture and the New Testament is clear in its teaching. You will forgive if it's talking about repeatedly, to forgive and show magnanimity. But that does not mean that one should live together before the other has repented. If the other fails and you remain faithful, we have God's word and promises that there will be reconciliation, Hosea the prophet Hosea is a brilliant and very good example of it. Hosea was to go out to get out and marry a "prostitute wife", ie a hierodul, a sacred prostitute associated with a fertility cult. Hosea's wife Gomer was probably associated with Baal cult that temple prostitute, but the text stated that this did not happen until after their three children were born that she was true to him. The law required that a man divorced from a cheating wife, but Hosea must have been fond of Gomer, and the loss of her must have been a devastating experience that gave Hosea insight into God's alleged pain of seeing his chosen people cheating with gods Baal. He followed her and ransomed her from her new master. So he thought that even God would forgive his people and give Israel a second chance. Hosea said that since the covenant Yahweh had taken over the fire place and married Israel, whom he wooed to her. Hosea was faith against Gomer, even though she gave birth to his first three "illegitimate" children before he even had children with her. This shows again and again if and when one remains true even when the other fails so does God. Final Comment: File 1:9 I pray dog ​​either, for love's sake. Such as I am, the old Paul, but now also prisoner of Christ Jesus. 2 Timothy 3:16 All Scripture is innblest of God by God and profitable for teaching, for reproof, for correction, for optuktelse justice. To the older I get, I think really only one road that is passable when we really impossible to know the reason why there is a break up basis. It is that the person / remarried as believers should be thrown out of the church and on the way to go in themselves as they lead sin, impurity and unchristian lives forward. Marriage is an invalid marriage of a believer, it is only the first, until death that gives a fair and biblical evidence for remarriage. Even before that, it is adultery! Then every test itself, a measure up! Tilgivel have to wait and see. And faith and hope, that the amazing party also will come back to God, and to those who are scorned! This is and remains more and more my simple and clear perception. That there are only two ways that faith in a marriage: "For a Christian married couples have only two options learns font. It is either to conciliate, which I recommend and which is the best way. Or live single. "! Nr. 440: Bible Verses that are customized for Jesus to be similar to the one true God of the Trinity is based on the bible forgery and lies! Bible Verses that are customized for Jesus to be similar to the one true God of the Trinity is based on the bible forgery and lies! I have taken a part of Arne Jordly his type of error Bible translation that shows that the trinity doctrine is based on falsehood, customized truth and falsehood. 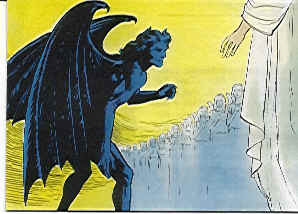 Illustration picture shows Satan as fundamentally Trinity ancestry and who is a liar and that is a lie. By standing lie as it shows that he is on the same line as the Trinity that remains faithful against him by faith in a triadegud, Katolikere has now expanded to an additional person as "Virgin" Mary is also now a fourth person in the Godhead, too bad it can go by believing the stranger learn! MAT 28:17 - And when they saw him, they fell down - KJV: "And when they saw him, they fell down and worshiped him: but some doubted. ' NKJ: "When they saw him, they worshiped him, but some doubted. ' NPV: '- and when they saw him, they bowed respectfully, but some doubted.' SHG: Eidos proskuneo ho distazo Trans. : See reverent some doubt PACT: When they saw him, they bowed respectfully to him. But there were some who doubted. COMMENT: We see again that proskuneo translated as worship. And that recur throughout the Bible, although those who translate, know better. Why is it done? It's simple: It was part of Luther's teaching that Jesus should be worshiped, and for the vast majority of Lutherans are Luther preferred over a correct understanding of God's word. Catholics align God Speech by pope, Witness for the Watchtower, Adventists by Ellen G. White, etc, etc. almost indefinitely. NB! The basic meaning of the word proskuneo is 'licking his master's hand like a dog.' It can In no case mean to worship either in forold to God or Christ, even if it is translated as in most Norwegian translations. And here's a clear example of how important it is to keep consistently to the language, and not to an even believe or want others to believe. LUK 22:70 - You say that I am. DNB: 'They asked everyone: "Are you then the Son of God?" He replied: "You say that I am." NKJ: 'Then they all said, "Are you then the Son of God?" Then he said to them: "Yes, you say that I am." * * Greek: ego eimi, I am God's name NPV: 'Then they all said, "Are you thus Son of God?" He said to them: "You say that I am." NB! In addition please refer to the footnote in the NKJ and the claim that Jesus here says he is God Almighty. It is a gross misconception in relation to Jesus' confirmation that he was the Son of God. SHG: a pas de phemi oun huios theos epo lego eimi Trans. : Please verify all about being the son of God respond to PACT say: "So confirm for us that you are the Son of God!" He answered, "I tell you, it's me." COMMENT: First, the actual translation: DNB writes: 'You say that I am.' NPV has the exact same wording. NKJ writes: "Yes, you say that I am. 'Check the basic text then you see that it's not true. Jesus confirmed clearly that he was God's Son. They could the Ikka have sentenced him to death for something they claimed. So this fableriet that Jesus says he is God Almighty in this verse is nonsense, yes, almost blasphemy. What they wanted to know was whether he could confirm that he was God Son, the promised Messiah, whom they had waited for hundreds of years. It was clear that Jesus and clearly confirmed! And that was what provoked them. Yes, it provoked them so strongly that they sentenced him to death for that statement! NB! Be aware that if Jesus once had alleged that he was God Almighty, the Jews according to the law of Moses was completely in the right when they executed him, it came under term gudspespottelse and were lawfully subject to the death penalty! So I am philosophy: It has nothing to do with the Bible. It is a man-made philosophy without any coverage in the word of God. Moreover, in the Greek text, you can now verify Jesus did not even say ego eimi, but only eimi. In Greek, there is the personal pronoun I concealed in flexion of the verb. So when Jesus says eimi means that in itself I am. What about ego eimi? Is not it used in Greek? Yes, but only when the self should be emphasized, that is not you, but I do. But Jesus never emphasized herself and does not use a single time expression ego eimi. The term ego eimi's not a single time in the entire Bible! As said the word ego used only in Greek when the self should be emphasized. And hence the expression an egoist! JOH JOH 1:01 and 1:02 - In the beginning - DNB: 'In the beginning was the Word, and the Word was with God, and the Word was God.' NKJ has similar translations, but ESE writes 'and the Word was a god.' It is clear that the belief in the Trinity, the doctrine that Jesus is God Almighty, and rejection of the Trinity, the belief that Jesus is God's son, that distinguishes these translations. And it is also clear that the KJV and NKJ defends Pope and Luther's teaching that Jesus is God Almighty. Norwegian clergy, men and women, says in his devotions in the churches and the NRK that "God came down to earth, let himself into the Virgin Mary's belly and let himself be born Jesus Christ. 'Is it the Bible? JOH 1:01 SHG: arche logos logos logos theos theos Trans. : Beginning words words words God god PACT: In the beginning was the Word, and the Word was of God, and the Word was God. COMMENT: Here we just landed in a minefield before we did get properly started, the way this verse is translated in, distinguishes between a Trinitarian understanding of God and a superb God's understanding. But as you can see from the Greek text does not say it ourselves so much, for the is open to interpretation - unless we have an adequate understanding of Greek grammar. First, the ancient Greek flash not used prepositions. That is why in Greek only beginning but if we get usable Norwegian by it, we must put the preposition at the beginning. Then, as You see, it is not used auxiliary verbs in Greek, therefore the auxiliary be inserted in the past, was. And in the next paragraph the words were and from, an auxiliary verb and a preposition, inserted to make translation into readable Norwegian, and also the auxiliary will, or in most translations var. When it comes to the word theos, God, they insert in capitals where Trinity advocates believes that God and Christ. The word also is Christ. But those who adhere to Bible's message that Jesus is the Son of God writes about God the Almighty, and god Jesus. Covenant understanding of the Bible is not Trinitarian. Remember that the word God means powerful, which makes one hundred percent correct translation of this verse: In the beginning was the Word, and the Word was from the powerful and the Word was powerful. In the next verse , He was in the beginning with God. And it effectively turns to death the claim that Jesus is God Almighty, because had it not been that 'he was in the beginning with God.' It's not a shred of doubt that DnB and NKJs translations of this verse is rough and quite conscious bible fakes! SHG: houtos arche theos Trans. : This beginning God. PACT: He was from the beginning with God. This simple fact is a strong indication that Jesus never preached any treenighetstro! What we see everywhere in the Gospels is that Jesus' friends and disciples confess Jesus as the Messiah - and nothing more! How is Peter's confession (Matt. 16:16), so the confession of Nathanael (John 1:49), so is Martha confession (John 11:27), as is the Samaritan woman's faith (John 4:1-42) and so is believing the walk to Emmaus is strengthened (Luke 24:13-35). Confession of Jesus as the Messiah seems to be a general pattern in all four Gospels. Such confession testimony of Jesus as Messiah fits like a glove with what we have previously seen, that Jesus never preached any Trinitarian doctrine, never said of himself that he was God, never mentioned God's spirit as a separate divine person, etc. Jesus' friends and disciples 've never heard him preach such doctrines, therefore, they of course never come to believe such a thing! There, however, they heard him say, that the Father is the one and only God (John 5:44 + 17:3), and that the Father is both their God and his own God (John 20:17). And they have heard, and that they believe in! Their religious beliefs are and remain therefore Jewish in character. They profess Shema when they visit the temple and synagogues - as they always have done and like their Master and hero also did it. They have not come to believe in a new God. What is new is only that they have understood and believed that Jesus is the promised Messiah! Above all, we see that it is Jesus as the Messiah in the case of the Gospels. It is Jesus Christ angels proclaiming to the shepherds, and that is Jesus Christ, the Apostle John concludes his whole gospel! Jesus never talked to anyone about that he was God or the existence of a trinity. However, he tried to lead people to believe that he was the Messiah (see eg. Account of the Samaritan woman in John 4 and the story of the walk to Emmaus in Luke 24). And when people come to such a realization, when Jesus was happy! He praised them and expect nothing more. To Peter he said and that it was God himself who had shown him this truth (Matthew 16:16-17). The picture that emerges clearly for us, in short, that Jesus never tried to change the Jewish disciples' belief in God, and that the disciples never confessed anything other than a Jewish belief in God! For the disciples, Jesus was always the promised Messiah, never a god, a mysterious person in the Trinity! But what about John 20:28, some of us will ask. Switch not Thomas confession radically with the through confession pattern we see elsewhere in the Gospels? Personally I do not think so. Although it may look at first glance, I think there are good reasons to assume that neither Thomas moved outside the sphere of the gospel messiah confessions. Strong indications suggest that neither he had received no new faith in God! In the following I will present two understandings of models each of which takes away all the difficulties associated with this verse. I think understanding both models are good, and I do not know which of them I should prefer. It, however, I am convinced, is that no matter which of these two models one goes, so both are better than the usual Trinitarian way to understand this verse! The first model is simply out that when Thomas exclaims, "My Lord and my God ', it is not these words directed against Jesus, but the Father. Some might interest immediately wrinkle on the forehead of such an explanation, but there are actually several factors that suggest that this may be a good and proper understanding. Firstly carries the entire episode reflects the fact that Thomas was greatly surprised. He was initially very skeptical and refused to believe that Jesus was raised from the dead before he could see the nail marks in his hands and sticking his finger in his sårsiden. Such was his mood. Then suddenly one day Jesus standing there alive right in front of him! Most of us can probably live envisioning how he felt totally surprised and in a way "struck by lightning"! In such a surprise situation it is very common that people come with some type of an outbreak, a eksklamasjon. And in a religious culture, such eksklamasjon often contain words that have to do with God. This is something we are including know from our own Norwegian culture. Many Norwegians want eg. could say, "My God!" or "Oh God!" when they are greatly surprised. I even remembers well how my grandmother used these terms. In the Oriental culture was and is similar religious-like eruption as usual. Very recently (October 2011) I heard such. on the news how people in Turkey said the word "Allah" when they are full of joy and surprise rediscovered surviving relatives after the earthquake. For an observer without knowledge of Turkish and Islamic culture, it could certainly look as if they called their relatives of Allah! But obviously that was not what they did. Their one word eksklamasjon was clearly nothing more than a condensed thanksgiving and praise to God. Although some modern trinitarer want us to believe that such outbreaks only surprise is a modern phenomenon and not something that was used in ancient times, this is not correct. Theodore, bishop of Mopsuestia (350-428 AD) was such. "An early Christian theologian and the most eminent representative of the so-called antiokenske school .... he was highly respected and took part in several synods, and had a reputation as orthodox as it was never questioned. This respected bishop of Mopsuestia was a very early Trinit and a friend of John Chrysostom and of Cyril of Alexandria. " (Encyclopedia Britannica, 14th ed., Vol 22, p.58). This highly respected early trini kelp wrote 1600 years ago that Thomas' statement in John 20:28 was "a surprise outburst directed toward God." (Meyer's Commentary on the New Testament, (John), 1983, Hendrickson Publ., Vol.3, p.535). Another interesting relationship that underpins this understanding, what we find in the Greek grammar. In Norwegian we say "gentleman" Whether we're talking about someone or to some, but it is not so in Greek. Here, the words have different endings depending on what function they have in the sentence (the case). In the nominative example. word gentleman named "kyrios" but vokativ (prosecution) will have a different form, namely "Kyrie". It is eg. This form of address to use in the Norwegian Liturgy when you say "Kyrie eleison" (Lord have mercy). This grammatical pattern is followed quite consistently over everything in the entire New Testament. In all the 119 cases where someone is being prosecuted as men, it vokativformen kyrie being used! (Revelation 4:11 does not break this pattern. Every indication that in the critical text here has to do with something else, an apposition. Otherwise, The Received Text kyrie here too, so that the total number of occurrences is 120). Especially interesting is to see that the pattern followed until consistent in John's Gospel, for it tells us something about this particular author's writing habits. In all the 33 cases in which the word Lord is used in direct charge to anyone in this gospel, it vokativformen kyrie being used! (See John 4:11, 15, 19, 49; 5:7, 6:34, 68; 8:11, 9:36, 38; 11:3, 12, 21, 27, 32, 34, 39, 12 : 21, 38, 13:6, 9, 25, 36, 37, 14:5, 8, 22, 8:15 p.m., 21:15, 16, 17, 20, 21). In John 14:5 we have a particularly interesting case. Because now Thomas opposite Jesus and address him with the word master. Which case form is then used? Well, as usual and as expected, vokativformen kyrie! The Greek grammar are followed - even in the face of Jesus! If it is then that Thomas speaks directly to Jesus at 8:28 p.m., we should naturally expect to find form kyrie also here. But we do not! Thomas' words are not vokativ, but in the nominative! This is very interesting! Could it be that the Apostle here has deliberately chosen a different case form just to highlight that Thomas says there are no direct charges to Jesus! Is not this the most plausible explanation? What else could explain this special use case? Why the hell would not follow John the Greek grammar here too - as he does everywhere else - if it really is about a direct indictment? Some try to say that the statement still is a direct indictment even if the words are in the nominative, calling it an "attractive lens nominative". Although it must be admitted that such grammatical irregularities actually occurs in the NT, particularly in connection with the word God, we never see the word Lord is used in the "attractive lens nominative" anywhere! Even Stephen, when he appeals to the glorious and heavenly Jesus as Lord (Acts 7:59), speaking only to him vokativformen - not in the nominative! On this basis, it appears highly unlikely that the kyrios is used as a form of address in this one instance in John 20:28! Here is an interesting statement from Edwin Abbott that gives good support to our assessment that kyrie was the normal case and the supreme form that was used in the direct indictment: The Egyptian papyri use kyrie everywhere, but never, so far vitneprovene go, ho kyrios in vokativ importance. A large amount of testimony from all existing Greek manuscripts so that if the intention had been vokativ indictment, Kyrie would have been used. This is also confirmed by the early Latin versions, "Dominus". 1) (Edwin Abbott, Johan Nine Grammar, 94 sec., 2049) 1) "Dominus" is nominativformen. Vokativformen (form of address) in Latin is "dominant". The important early Latin versions (Vetus Latina) is not used form of address in Joh.20: 28 PS - We should not ignore the possibility that the above-mentioned Bishop Theodore arrived at his views on the importance of Thomas' words because he knew his Greek grammar! In keeping with the fact that Thomas' words do not look like any indictment of Jesus according to regular Greek grammar, we see neither his statements as a whole like something prosecution statement! What I think of here, is the fact that when someone starts a prosecution by saying either "master" or "God" in the Bible, then these people always something more to say that they want to say! It can be about many different things, such as. Questions, requests, confession or otherwise. The point is that they always say something more than just these words link or opening words! So it is in all cases in the Gospel of John where Jesus is addressed as sir. Here are a few examples: John 4:15 - Lord, give me this water John 4:19 - Sir, I perceive that You are a prophet John 6:34 - Lord, evermore give us this bread John 6:68 - Lord, to whom shall we go? Joh 11:27 - Lord, .... I think that you are the Christ, the Son of God When it comes to Thomas' words, he accordingly completed pattern eg. still have something like this after opening words: My Lord and my God, you have stood up and have come to us! Or: My Lord and my God, I believe you ..... But no such natural subsequent messages are not god. Thomas says only beginning keywords and nothing more! His statement resembles not a prosecution statement. However, it has all the characteristics of a short eksklamasjonsuttrykk. Another thing that indicates that it is appropriate to understand Thomas 'words as a short eksklamasjon directed to God the Father is Jesus' response to his statement. When Peter confessed Jesus as the Messiah, he received the praise of Jesus and an assurance that it was God himself who had given him this light in his mind. Should not then Thomas, more than any other, won praise and a similar assurance that it was God himself who had revealed this to him, if he is here realy came with a confession that stated the deepest truth about Jesus - that he was God! Should not Thomas received praise without equal to have known no other disciples had though? Should not Jesus have used the Thomas amazing confession and confirmed and elaborated on the truth about his own deity for the rest of the disciples? Should not Jesus have said to Thomas something similar to: "Blessed are you, Thomas. Finally you though who I am, This is the profession I'm always waiting for. I'm really your God." But all these things are absent in Jesus' reaction to what Thomas says! We find no praise, no talk of God's mighty revelation and no elaboration of their own deity! All Thomas hears, is rather a mild rebuke! Jesus rebukes Thomas actually to have had such an unbelieving heart that he has not been able to believe in the resurrection until he saw Jesus (see v.29). Jesus seems to be completely unaware that Thomas has just said something very important about who he is! The response he gives, shows that he attributes to Thomas' words have special importance or significance beyond showing that Thomas now believe in the resurrection. This response pattern fits like a glove that Thomas' words were a takksigelsesutbrudd addressed to God the Father, that is a short praise to God for Jesus now stood alive before him. Jesus subdued response without allusions to their own deity fit, however not at the Thomas here suddenly to have confessed Jesus as God! Such boundless confession is impossible to imagine that Jesus should have remained silent and passive? As far as I can judge, the matter must be Jesus 'response to Thomas' words constitute a very strong indication that Jesus was not God who confessed that day. Another thing we can think of is the disciples' faith testimonies for this event. Changed it up? Thomas opened the door to a wonderful truth about Jesus, like all the other disciples immediately took it and began to confess? Followed immediately by the Peter Thomas footsteps? He stood up at Pentecost and preached that Jesus was God? Read Acts 2:14-41 and judge for yourself! Here is some of what Peter said this special day: Israel, hear these words! Jesus of Nazareth was a man of God to you by miracles and wonders and signs, which God gave him to do so among you. All this yourselves know. He was handed over to you, as God had previously determined and known, and by lawless hands you nailed him to the cross and killed him. But God raised him up and freed him from death factories. Death was not strong enough to hold him tight. (V.22-24) A selected man blessed and endowed by God! How is Peter Christ Testimony. Not one word that Jesus is God! Peter did not seem to have any influences from the incident with Thomas to begin to confess Jesus as God. And so it is generally throughout the early Christian church history. Jesus never preached or confessed to God in the book of Acts. There is therefore no evidence that the apostles taught something radically new that day! There is no evidence that Thomas said was something watershed in their life of faith! Again we have therefore an indication that there is a good and reasonable understanding reading Thomas word that a short takksigelsesutbrudd directed to God the Father - and nothing else! Let me also take how two well-respected Bible translations render John 20:28. Note that Thomas here not being said to answer any questions. This agrees well with the one that Jesus did not ask any questions for him! The verse that can be translated as, also helps to point in the direction of Thomas' words are no charges to Jesus. New English Bible: Thomas said, "My Lord and my God!" Phillips Modern English Bible: "My Lord and my God!" cried Thomas. As a final point I want to draw readers' attention to two interesting verses in John 20 that frames the 28 verse. In verse 17, Jesus has recently said to Mary Magdalene that she would go to his disciples, saying to them that he would soon go up to him who was both his own and his disciples God. This was a crystal clear message to the disciples - Thomas included - as to who was their God and the one true God. How credible is it to say that Thomas - in direct contravention of this teaching of Jesus - a few days later to get the idea that someone other than the Father was his God? In verse 31 sums up John - after the incident with Thomas - the purpose of the whole of the gospel he wrote. If it were true that Thomas confessed Jesus as God and that this was part of the very core of the Christian faith, should we not expect that John would summarize his gospel by saying something that he had written his Gospel so that people might believe that Jesus was God? But it does not John! There, however, he says, is that he wrote the Gospel "that you may believe that Jesus is the Christ, the Son of God." Again, we face a clear indication that Thomas never accused Jesus as God. One finds a wide use of the words for "God" in Jewish angelology. Both elim and elohim are eg. extensively used as a term of mighty angels in 4Q400-407 (Dead Sea Scrolls). Neither here forligger there any intention to violate God's unity and uniqueness. (PM Casey, monotheism, Worship and Christological development in the Pauline Churches, in: The Jewish Roots of Christological monotheism. Papers from the St. Andrews Conference on the Historical Origins of the Worship of Jesus, ed. Newman, Davila, Lewis, Brill , Leiden-Boston-Köln, 1999, p.216-217) Other heavenly beings than the Lord is often called elohim in the Dead Sea Scrolls. (Adela Yarbro Collins and John J. Collins, King and Messiah as Son of God - Divine, Human, and Angelic Messianic Figures in Biblical and Related Literature, William B. Eerdmans Publ. Co.., Grand Rapids, Michigan / Cambridge, UK, 2008, p.61) We must therefore conclude that, based on Filon perspective and from the perspective of the Jewish community he belonged, as was his description of Moses as theos (God) is not something that affected or threatened monotheism. (PM Casey, monotheism, Worship and Christological development in the Pauline Churches, in: The Jewish Roots of Christological Monotheism. Papers from the St. Andrews Conference on the Historical Origins of the Worship of Jesus, ed. Newman, Davila, Lewis, Brill, Leiden-Boston-Köln, 1999, p.216) In light of the rest of John's Gospel can not Thomas confession mean that the risen Jesus is the one God. The name has already been used by Jesus in the context in which he clearly distinguishes between the Father and the Son. (17:3). In addition, Jesus had a revelation to Mary Magdalene after the resurrection commanded her to go to his disciples, saying to them that he ascended "to my Father and your Father, to my God and your God" (20:17). It is highly unlikely that John intended to get readers to believe that the Father and the Son at one time or another have merged into one, or the one Jesus called "my God" in one way or another has been the Risen Lord himself. (Marianne Thompson, The God of the Gospel of John, p.235) The scriptures do not identify the word "God" necessarily the highest, but is often used of men and angels. Moses is called God: 2 Gen. 7:1. The judges in Israel are called gods, Psalm 82:6. The word of God came to be called gods: John 10:35. Paul says that there are many things both in heaven and in earth, who are called gods, 1 Cor 8:5. Thus we see that the word "God" is sometimes used in a secondary importance. When the term is used to denote the highest, are often other words associated with it to describe his divine perfections or characteristics. He is called the invisible God, the Almighty God, the only wise God, the only true God, the Most High God, Yahweh God - titles that never once given to Christ nowhere in the Bible. About the word "God" alone always termed the Most High, would such additional descriptions have been superfluous. If Jesus had been called God never so many times in Scripture, this would not have been any evidence that he was the Supreme, just as the fact that Moses is called God is no evidence that he is the Most High! (Charles Morgridge, The True Believers Defence, Boston, 1837, p.115) Thomas used the word "God" in the sense it is used of kings and judges (who are seen as God's representatives) and, above all, the Messiah. (CG Kuehnoel (Trinitarian theologian), cited by WG Eliot in: Discourses on the Doctrines of Christianity, Boston, 1886, p.79) Thomas saw the risen Jesus, the one who was chosen to be "God" in the age to come, who would take over for Satan, this age "God." But Thomas' words "Lord" and "God" is nothing other than the messianic titles in line with the divine titles given to the angel of the Lord and to the representatives of God in the Old Testament. The earlier doubting apostle did not begin suddenly to believe in the Nicene and the Athanasian Creed and watch his Lord as "true God from true God." John's Gospel must not be manipulated to match the much later speculation on Greek theologians. (Sidney A. Hatch, Th.M. from Dallas Theological Seminary) We must here round this brief and fragmentary overview of language background material. But hopefully enough has been said to show that the New Testament writers spoke of Jesus in a cultural setting where the terminology that we would have considered appropriate only in relation to a being who was truly divine, was used to angels and even though people . 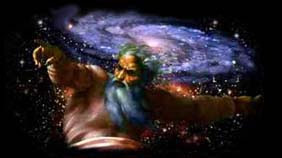 In the first century world, one could argue that some people were in a particularly close relationship to the celestial sphere, one could ascribe to them a certain degree of ontological equality with God's nature, one could honor them with such titles as "Son of God", " Lord "- yes, even" god ". And all this could be done without having any intention to attribute those honored in this way, the same divine status as the Supreme God. (GH Booby, Jesus as "theos" in the New Testament, The John Rydland Bulletin, vol.50, 1967/8) As we see, also for understanding the second one of a kind. Thomas may actually have called Jesus God in a subordinate and relative importance without having had the intention to confess one true God number two next to God the Father. Such a use of the word god is quite alien to us in our modern culture, but in biblical times was such a use of the word a real possibility. Word had obviously another denomination at the time. All the pieces fall into place so we also follow this understanding model. As mentioned before, I find it hard to choose between the two models understanding. What I do know for sure about myself is that both of these two models provide better and more likely answer to what kind of meaning Thomas put in their words than a Trinitarian interpretation does. We have - as I see it - not a strange case of one person once confessed Jesus as true God in the Gospels. All the apostles - Thomas included - thought only GOD! Jesus was their Messiah - not your God! The sum of God's word is truth! Heresy, originally applied to members of a religious movement in the 1100s who were persecuted by the Pope, see Katara. The word was later term for a person who knowingly shelves (and seeks to propagate) a doctrine that differs from the official church, particularly on important points, and who steadfastly cling to their deviation, ie heresies. The heresy is also used for person with opinions that differ from adopted (especially religious) beliefs and that is generally regarded as forargerlige. Katarerene learned including Christ was considered an angel who had preached the true doctrine. (From large Norwegian lexicon). This was written by Katarerene opponents 900 years afterwards, but it shows that throughout the history of the church there are those who have tried to claim what God's word says that God's word does not speak of a triadegud has now followed the Christian Church of ca. 1700 really as a heresy. How then has the error that Trinity is survived so long? The main reason is twofold, I believe. 1) The official Christian church has, on the whole, been the majority church has always persecuted the true believers to a greater or lesser extent. Therefore it has always been difficult to stood and stand before God, even in this time we live in today. 2) All revivalist movements have emphasized experience and the truth that they have stood for. Lutherans on justification. Methodists of sanctification, Baptists in the baptism of water. Frelsarmeen the remedy all difficulties, Pentecostal baptism of the Spirit. Free friends in what Christ has done for us. How has the individual revival movement is stagnant and not gone ahead with the living God. Almost all Jews or Israelites, Jesus is faithful not assume the Trinity! How can the Word people - those who belong to God - which had the word of God in their midst not accept such a doctrine as a matter of course for most believers? As I see it, they are not so affected and dirty in their spiritual and life of faith which unfortunately most Gentile Christians are. If we compare scripture with scripture that Jesus can not be the only true God, and our Savior, Lord and the intermediary between us and the only true God, the Father. Each Bible verse is God's word, but the way it has been translated on may be incorrect, incomplete and sometimes downright misleading! "Adds" we are together all the scriptures that deal with this subject, the Bible gives a self-testimony is very clear and strong. There is only one who is the only true God, it is only and only God the Father. Secondly, the Spirit is no separate person, then every time the Spirit or the Spirit mentioned in God's word. Whether as Devil's Spirit, Antichrist Spirit, the human spirit, God's Spirit, the Spirit of Jesus Christ, it is never mentioned as a separate person, but as a part of the person or persons mentioned in connection with the people and in this context it mentioned. "The problem" is Jesus, what scripture says about Jesus? And what does Jesus say about himself? God's word teaches that Jesus is the only true God (Cf. Joh.e. 17.3 and similar passages). But he mentioned either as one among many Gods, or as the Son of God, but never as the only true God. Ergo, the Trinity is a man-made doctrine at best, if not demons learn and seducing spirits behind. There must be many cases in which this doctrine is riveting in so many without they know exactly what they believe. I have the answer to "everything", Trinity teachers have no answers as have coverage if a read God's word in context. Trinity doctrine is a doctrine based on some certain passages that are interpreted in a weird and pointless direction. While the belief in one God, is a teaching that is biblical and that is good enough. An example is where Jesus says that He and the Father are one in Joh.e. 10.30. This says more seats about real people that they are a. If I and my wife are one, then I do not cease to be a man and she a woman. Or she is not male and I female? It is here that the Trinity has found a strange and deceitful way to interpret the word of God. There are many Trinitarian doctrine that acknowledges that Jesus is never mentioned in the Scriptures as the only true God, but it is only and solely the Father mentioned here. When one can not begin to transfer such opinions as the Father is the only true God, and hence the Son because he and the Father are one. This sounds most remarkable and out is nonsense, Jesus is the only true God, only and alone the Father. Make Jesus the only true God, because he says that he and the Father one? Had a confrontation with an ardent Trinity teaches that came with the argument that: "Jesus is the only true God, because he says that he and the Father of one." But this is very easy to parry. It's also about real people that the two are one! Ends are being mi wife being a woman and being a man because she married me? Will Jesus as the only true God as He and the Father are one? Of course not! For any nonsense and nonsense Trinity teachers are doing, the whole doctrine is at best humanity. Or is it Satanic when it tells and teaches truth! The real heretics are those who believe, defend and argue for a triadegud or Trinity which actually is not founded on the sum of God's word. It does not help if it appears that one or a few passages suggest that God is a triadegud then the sum of God's word says that God is one and the only true God is only and solely the Father. 1 Cor. 8. 4b. there is no God but one. 5 For if there are also so-called gods, whether in heaven or on earth - which there are many gods and many lords - 6 so it's dog for us only one God, the Father, of whom all are, and we to him, and one Lord, Jesus Christ, through whom all are, and we through him. Jesus himself claimed, learned and taught never said he was the only true God, it was just alone and only God the Father as it is the only one who is from everlasting to everlasting. Jesus has a beginning and has been withdrawn from the Father! They are one as a married couple is, but still two separate individuals with their own function and title. Notice that the scripture is the Holy Spirit never mentioned by name, why? He is not a separate person, just as our spirit is not. But with features and equipment that our spirit is. Therefore to do God and the Spirit of Christ to a third person in a God, it is so utterly pointless and ugrammatisk and unbiblical that must and should keep it as a heresy and a teaching that comes from the father of lies, Satan! Nr. 438: We're never going to meet some holy spirit neither on the earth, under the earth or in heaven. Believe this is the doctrine of devils and seducing spirits learning, thinking and infiltration! We're never going to meet some holy spirit neither on the earth, under the earth or in heaven. Believe this is the doctrine of devils and seducing spirits learning, thinking and infiltration! I know that such Benny Hinn teaches that the Holy Spirit has a body, and believes that we should meet three gods in heaven. As I understand the vast majority of Christians they know very little about this subject and has thus not taken a position on this except that than condemn those who take up this subject. But what scripture teaches? Scripture teaches that there is one on the throne, the only true God, the Father. At his right sits his beloved Son Jesus Christ. Jesus is the only true God, and our Lord and Savior and mediator between us and him. I think it is biblical to imagine that we will meet two people sitting on the throne. A centerpiece of the Father. And the son sits at his right side. But I'm excited and it will be great if I get to experience this, along with everyone who reaches there. Illustration picture shows the only true God the Father is the one that should be asked and worshiped more than any other, even the Son Jesus Christ urged again and again to call him their God, which he also did himself. And pray to him. Even in Jesus' model prayer was, "Our Father who is in heaven" that applied! This is of course a very topic, but we need to know something about God's character, what he requires of us and especially to have a false and unbiblical understanding of him. God is both good and rigorous teaching writing. Rom. 11. 22 Then watch as God's goodness and severity: Strictness against those who have fallen, but the dig is God's kindness, if you hold thee to his kindness, otherwise you too will be cut off. We meet all the places in Scripture that it is God the Father and His Son Jesus Christ we are dealing with, never a second divine person called the Holy Spirit. Daniel 7 9 As I watched this, was it put chairs up, and the Ancient of days sat: his garment was white as snow, and the hair of his head like the pure wool: his throne was aflame, and the wheels on it were burning fire . 10 A stream of fire flowed forth and went out from him: thousand thousands served him, and ten thousand times ten thousand stood before him, the court was set, and the books were opened. This must be God, Father, no one else fits that description. Daniel 7 13 I saw in the night visions, seeing how one like a son of man came with the clouds of heaven, and he came to the Ancient of Days and was brought to him. 14 And there was given him dominion and glory and kingdom, and all peoples, nations, and languages ​​should serve him: his dominion is an everlasting dominion, which shall not pass away, and His kingdom is a kingdom that can not be destroyed. Since the New Testament of the Greek manuscripts were published in 1516, a scholar named Erasmus did not include these verses to the great hubbub of his theological opponents who maintained that he was viciously removed trinity from the Bible. Erasmus replied that he could not find this part in any of the Greek manuscripts he knew. And here goes the story. He challenged his opponents to produce a Greek manuscript of the Trinity. If they did it, he would include it in the next edition of the NT. In response produced his opponents a manuscript or at least they got a produced. Some copied John's first letter from the Greek and added these verses and presented them to Erasmus. As the honorable man he was, he included these verses in the next edition. It was this version that became the basis for the King James version, which was important in the historical Bible in English. These verses are still in the King James version but not the newer and more reliable translations. This is why an older generation of readers of the English Bible was assumed that the Bible taught the dogma of the Trinity, although this is not found in any Greek manuscripts in more than a thousand years. So what is the most reliable? The Greek manuscripts or the much later Latin? Now let this be very clear, I stick to the original Greek manuscript. Then one must reject both the Trinity and Jesus only doctrine and belief in only one God, the Father, and that he only has one and only Son, Jesus Christ! This is from my commentaries Revelation 5 1. And I saw him that sat on the throne, had a book in his right hand. It was written both inside it and out, and it was sealed with seven seals. It sits on the throne of the Father. Here is a book that is sealed with seven seals. It is in both interior and exterior. What is written and the content is not known. But God knows much more about everything than those we find in the Bible. God is infinite, incomprehensible great, rich and he is inscrutable. 2 And I saw a mighty angel proclaiming in a loud voice, "Who is worthy to open the scroll and break its seals?" But this rich and important scroll are some worthy to open it and break its seals? Here we see what God sees when it comes to humans. Rom. 3. 10 For it is written: There is no one who is righteous, not even one. 11 There is no one who is sane, no one who seeks God. 12 All have gone astray, everyone is corrupt, there is no one who does good, not even one. 13 Their throat is an open grave; they are false words on the tongue, lower lips, they ormegift, 14 in mouth curses and harsh words. 15 They are fast on foot when they want to shed blood, 16 Destruction and misery in their footsteps. 17 The way of peace they have not known, 18 and the fear of God they know not of. 3 But neither in heaven or on earth or under the earth was someone who could open the book and read it. For the Apostle everything seemed hopeless now. No one can be allowed to open the book, neither to look thereon. Neither in heaven, on earth or under the earth. Jeremiah 30 21 Their leader will be one of their own, their ruler shall proceed from themselves. I let him come and appear before me. For who would otherwise venture life by approaching me? says the Lord. 4 And I wept much, because no one was found worthy to open the book, neither to look thereon. If God does not have a solution that has no other, either. Here the apostle cries much, because no one is found worthy to open the book. The world has many great people like Gandhi, Buddha, and many others. Religion Founders as Mohammed, Vardhaman Mahavira and many others. But none of them are worthy! 5 And one of the elders said to me, "Do not weep! For the lion of the tribe of Judah, the Root of David, has triumphed, and he is the one who can open the scroll and its seven seals. " But one of the twenty-four elders with good tidings. It was one that is found worthy. He is worthy to open the scroll and its seven seals. Lion of Judah is Jesus. Jesus came from the tribe of Judah and lived to please God the Father at 100% and is found worthy. Root of David, he is also when King David through Joseph his ste Dad came out of the house and lineage of David. 6 Then I saw a Lamb: It was the middle of the circle, between the throne and the living creatures and the elders, and the Lamb looked like it was slaughtered. It had seven horns and seven eyes, and the eyes are the seven spirits who are sent out into all the earth. Here something strange, a lamb that has been slaughtered in the center. That it has seven horns and seven eyes and seven Spirits of God goes with witnesses of Jesus' perfection therefore his dignity. Jesus is complete strength, wisdom, and he has the Spirit without measure. Seven are also seven sides and seven stands for perfection or complete, At the seven Spirits of God, was sent beyond the Earth has to look at that all that God provided in Christ was and wanted God to get us to the part of man. Joh. e 3 16 For God loved the world that He gave His only begotten Son, that whosoever believeth in him should not perish, but have everlasting life. 7 Lamb came to him that sat on the throne, and took the book out of his right hand. No one can come close to God and live. But when God the Son can acknowledge him fully. There is nothing impure and rebellious in him. Only dignity, grandeur, beauty, and goodness. 8 Then it took the book, the four living creatures and the twenty-four elders fell down before the Lamb. Each one had a harp and golden bowls full of incense, which are the prayers of saints. When the Lamb takes the book, the four living creatures and the twenty-four elders fell down before the Lamb. It is not only the Father who receives adoration and admiration, but also the Son. But I also think that when we get to heaven, on earth. Is it only the Father and the Son to be asked to, adored and glorified and worshiped. 9 And they sang a new song: You are worthy to take the scroll and to open its seals. For You were slain and with your blood ransomed for God people of all tribes and tongues, of all peoples and nations. Here the Son is worshiped and glorified with the Father, then he is worthy. And it is out of all tribes and tongues of all nations. But the gateway to all of them is the same, with your blood ransomed for God. 10 To a kingdom you have done them, priests to our God; and they will reign on earth. In Israel under the Old Covenant was only a few priests out of a tribe, the tribe of Levi. But the church's time and during the upcoming 1000 årsriket are all born-priests of the living God. 1. Pet. 2. 5 Be yourself living stones built up a spiritual temple! Become an holy priesthood, and offer spiritual sacrifices that God welcomes, through Jesus Christ. 11 And I heard the voice of many angels round about the throne and the living creatures and the elders - it was ten thousand times ten thousand, thousands upon thousands of them. We read in Hebrews. 12. 22 to tens of thousands of angels. Or as it also says; angel myriads. There are a number of angels but now there is not room for them all before the throne. Now not only the four twenty representatives of all the saved to the throne. But all saved through time so there will be few angels now before the throne. The redeemed of all time will be so many that angels must give way. 12 And they cried with a loud voice: Worthy is the Lamb who was slain, worthy to receive power and wealth and wisdom and strength, honor and glory and thanks. Again the ropes with a loud voice. In heaven there will be shouted loud because Jesus has been found worthy of the Father. Had Jesus been found worthy we'd all gone and lost forever been destroyed together with all unbelievers and all fallen angels. 13 And every creature in heaven and on earth and under the earth and on the sea, yes, all that's there, I heard saying: He who sits on the throne, and the Lamb shall have all the thanks and praise, honor, and power forever and ever. Here are two that shall be praised and glorified, who sits on the throne, and the Lamb shall have all the thanks and praise, honor, and power forever and ever. Praying to the Holy Spirit and believe that the Holy Spirit is a separate divine person is nonsense and 100% unbiblical. 14 The four living creatures said, Amen. And the elders fell down and worshiped. We read in Ezekiel these livsvesne. Ezekiel 1 14 Conduct for forward and back and was like lightning. Then fold the four twenty elders fell down and worshiped the Father and the Son. Fil. 2. 9 Therefore God has highly exalted him and gave him the name above all names, 10 that every knee shall bow in the name of Jesus, in heaven and on earth and under the earth, 11 and every tongue confess Jesus Christ is Lord, to God's glory! To pray to and worship the Father and the Son is to "heaven" in advance! Ap.gj.17. 29 Because we are God's offspring, we should not think that the divine being is like an image of gold or silver or stone, shaped by human art and thought. This scripture is as far as I know the only deity mentioned in the Bible (and this are almost the same, here from my commentaries Colossians Dispenser Letter 2 9 In Him the fullness of the Godhead bodily present, Again we are reminded of Christ. In him is all, not just some parts of the fullness present. 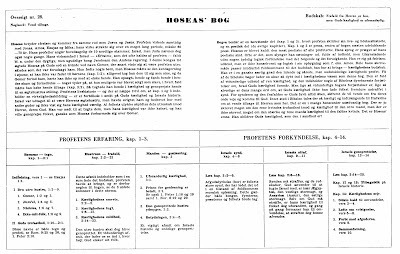 Joh.e.1. 16 From his fullness we have all received, grace upon grace. This we have come in are super grace. Scripture must say, grace upon grace. We begin to suspect that the range for this is incredibly large. It includes all people and will last forever with resources and content that will always be satisfying and contains content that no one should have to feel tilkort kommenhet and unsatisfactory). Who is it? And which God himself gives testimony about himself? Having been a Christian for 30 years so I understand that much of what we are engaging with church politics and much else that has to bring us forward in the spiritual realm. But so are many other things in life. Remember when I was a kid and played football with buddies for hours was often the nicest time football kicking. As if one were to drive it organized so everything was so streamlined and controlled. But such is progress and it must just accept. So it is with the development of the "doctrine" of the deity in which the Trinity is strongest, but Jesus only doctrine also believe many of. When we try to get some insight on this as well as understand the historical aspects, that its "dogma" is reached over time, we can not find the word trinity in the Bible only once. For many, this is shock to hear, but it is fact. Much of today's Christianity is the result of several church meetings (an assembly of representatives from the church). The first was held in Nicaea in 325 After the separation between the Western Church and the Orthodox in 1054, it has not been possible to conduct meetings in which all Christendom has been collected. Various Christian "society" (Protestants, Catholics, Orthodox, etc.) accept the results of different encounters, making their faith a little bit different from each other. At such meetings, the decision of the Trinity, which gospels to include in the Bible, etc., have been taken (not sure about consensus or majority decisions was the prevalent). Possibly it was a good deal of lobbying and threats too. At the Council of Nicaea in 325, a solution on a "to agree" with God and Jesus promoted. The Christian doctrine of the Trinity was first developed at the Council of Constantinople in 381 Trinity can be brought back to the ancient mythologies that existed long before Christianity. Eg. Egyptian. Osiris, Isis and Horus. Many of the elements of Christianity are taken from earlier religions, including in the process of introducing a new religion became part feasts, symbols, etc. "adopted" in order to ease the transition for those who are not quite ready for a new religion. It was apparently also an option to decide that the Trinity consisted of God, Jesus and the Virgin Mary. It struck the fort down because it would be too controversial with a female member of the Trinity. But what is it about the Trinity and Jesus only doctrine is wrong? Much! Firstly, to believe in a God who is either Trinitarian or shows itself in different ways, it was God who died on the cross. It does not teach the Bible, it was the human Jesus who died. It is only the Father who is from everlasting son has gone out from him and got the same kind of glory in his pre-existence. It let him off for being you and me equal and died not as God, but as a human being. So he cried out on the cross. Matt. 27. 45 From the sixth hour was darkness over the whole land until the ninth hour. 46 At the ninth hour Jesus cried with a loud voice, "Eli, Eli, lema sabachthani?" It means, "My God, my God, why have you forsaken me?" Moreover, it is totally against the Bible's presentation to make the Holy Ghost a second god or a second person in the Godhead. The Holy Spirit is part of God as my and your spirit is a part of us. This is where so many are wrong. But while it is Jesus after the resurrection of a certain kind become a part of God or deity. Jesus is a person beside the Father, but it is not the Holy Spirit. Let me mention three passages where we see the Father and the Son together yet as two separate persons as the persons who saw them also perceived that way. You can read John. Revelation. 5 and Acts 7 when Stephen saw the Father and Jesus. We read in Daniel 7 9 I watched as Tron chairs were set up, and one that was ancient of days did sit. His clothes were white as snow and the hair of his head like pure wool. His throne was fiery, and its wheels were blazing fire. 10 A stream of fire flowed out, and it went out in front of him. Thousand thousands served him, ten thousand, even tens of thousands stood before him. Judgment was set, and the books were opened. 11 As I looked at this, the animal was killed for horn speaking great things. The body was destroyed and thrown into the fire to be burned. 12 The other animals were deprived of their sovereignty, time and the hour appointed for their lifetime. 13 Moreover, I saw in the night visions: Behold, with the clouds of heaven there came one like a son of man. He approached the Ancient of Days and was presented before him. 14 He received dominion, and glory; peoples and tribes with different languages, all nations shall serve him. His dominion is an everlasting dominion, it shall not pass away; his kingdom will never be destroyed. The Ancient of Days is the Father and the Son is Jesus. It is to me very clearly and obviously both from God's word and my experience of we have to do with two people. This is what the apostle John also says in his 1st letter. And the first chapter V. 3 That which we have seen and heard we proclaim also to you, that ye should have fellowship with us, we who have fellowship with the Father and His Son Jesus Christ. But what about the Holy Spirit? Firstly this is a Spirit that is Holy! Who is it to reality? God the Father himself, and after Jesus' resurrection and ascension, even himself. Acts 2. 33 He was exalted to the right hand of God and received of the Father the Holy Spirit that was promised us, and poured it. This is what you see and hear. What does it say about God? That he is a Spirit more seats. Joh.e. 4. 24 God is spirit, and those who worship him must worship him in spirit and in truth. " Therefore we must not break the Holy Spirit from God himself, much less make him a person. We as believers have received something from God Himself in our lives and hearts. It is the Holy Spirit, it is God himself who then dwells in our inner being, our spirit. 1. Joh.b. 4. 13 That we abide in him and he in us, we know because he has given us of his Spirit. But this also says Jesus, the Holy Spirit will be sent. But he and the Father who dwells in us. Joh.e. 14. 21 Whoever has my commandments and keeps them, he it is who loves me. And he that loveth me shall be loved of my Father. I too will love him and manifest myself to him. "22 Judas, not Iscariot, said to him," Lord, what is it that you will manifest yourself to us and not to the world? "23 Jesus replied: Whoever loves me will keep my word, and my Father will love him, and we will come to him and make our home with him. 24 Whoever does not love me does not keep my words. And the word which you hear is not mine but the Father's who sent me. 25 These things have I told you while I was still with you. 26 But the Helper, the Holy Spirit, whom the Father will send in my name, he shall teach you all things and bring to your remembrance all that I have said to you. We read several places in the word of God the Father by his Spirit that dwells in us both now and the same Spirit to be in us forever. Efes. 4. 6 one God and Father of all, who is over all and through all and in all. 1. Cor. 15. 28 And when everything is subject to him shall the Son also himself be subject to the God who put all things under him, that God may be all in all. God will be all in all both in time and in eternity long. But is this so important? I think that both those who believe in Jesus alone doctrine and unbiblical doctrine of the Trinity can be saved. But I like to go straight on the road with him and always let his words and truth will be crucial. Heb. 13. 18 Pray for us! for we console ourselves that we have a good conscience, and would like danger right in all things. Why go and believe and defend a doctrine is wrong and unbiblical teaching such that only Jesus and the Trinity? Jesus was not God when He walked upon the earth, and He was God from all eternity with the Father. Jesus has a beginning and have gone out from the Father, and he was 100% dependent on the Holy Spirit when he was human on Earth in 33 1 \ 2 years. Acts 10. 38 namely, that Jesus of Nazareth was anointed by God with the Holy Spirit and power, and he went about doing good and healing all who were oppressed by the devil, for God was with him. It is a two agreements but a trinity in the sense that the Father and the Son have a common spirit and power. Here it is right that the Holy Spirit is power and not a person. Final Comment: This is a lot to say about. But I'll just end with the Holy Spirit is not a separate god person or something like that or direction. It is God the Father Spirit, if we have a spirit. Satan is a spirit, God has a Spirit. And the Holy Spirit is a general term for God and the Spirit of Jesus Christ. Just as Satan and Antichrist also get a feles term for the same. This is not really difficult, it's just a 1700 year tradition that has dogged this script provides a clear testimony that God is not vague and something that is a mystery. But he is the only true God, and he has a son who is his equal and has shown us who he is, it is his beloved Son Jesus Christ. Joh. AD 14 8 Philip saith unto him, Lord! show us the Father and it is us enough! 9 Jesus saith unto him, so long time I have been with you, and you do not know me, Philip? He who has seen Me has seen the Father, how can you say, 'Show us the Father?